Have you been looking for a fresh approach to marketing whitening in your practice? My friend and prominent dental practice consultant, Gary Takacs, often refers to teeth whitening as a “gateway service” that leads to more interest in other restorative and cosmetic dental services your practice provides. Gary also often cites a USA Today survey that asked the following question; “What would you like to change about your smile?” 85% of the people surveyed said they wanted whiter teeth. If you’re like most practices, one of your biggest challenges to increasing whitening revenue is that your marketing has grown stale! That tired, dusty, trifold brochure sitting in your waiting area has seen better days. 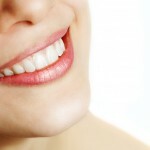 Social media provides opportunities to breathe new life into your whitening marketing efforts. It also helps your team members get excited again about promoting whitening. Remember, effective social media marketing doesn’t start online – it starts inside your practice! Use Social Media to Promote Your Whitening Services! After downloading the materials, use the blog template as an outline for writing your own personalized post about the whitening services you offer. Post that content on your blog, then push the post out through your social media channels. Use the engaging social media graphics you’ve downloaded on Facebook, Twitter, Instagram, and Pinterest. Print the fun Social Signs™ from your printer and use them for increased photo shareability. Download and use our simple photo consent form if you don’t already have one. And, if you need a little refresher course highlighting three very specific techniques for growing the whitening component of your practice, Gary’s whitening podcast includes some great tips. How Do You Promote Whitening Inside Your Practice? What other methods have you used to successfully promote whitening inside your practice? Share your successes (or your questions) below to help us all benefit from this discussion. Thanks!